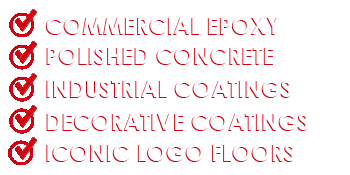 Our primary focus is supplying heavy grade epoxy floors and concrete coating solutions to Louisville KY area business's, homeowners, and institutional organizations. Our grinding and preparation tools, along with our installation techniques, and epoxy coating products are the most advanced in the industry. Every project we do has an end focus on installing a finish that looks fantastic and will stand the test of time. 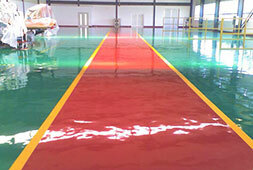 Commercial epoxy floors are great for areas with heavy foot traffic. 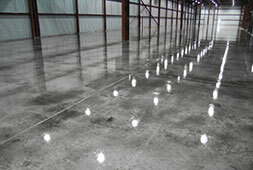 Industrial epoxy floors stand up to the rigors of modern industry. 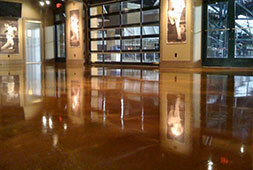 Concrete polishing is a great solution for easy cleaning and maintenance. Our garage floor epoxy coatings systems are prepared and installed the same way we do our heavy duty commercial and industrial epoxy floors. We also use the same industrial grade coating products on our residential clients projects. There are epoxy installers out there who would say that this is over kill. But we disagree. For us, it comes down to long term client satisfaction. Not just today. But for years to come. We want you to be able to go out your garage door well into the future and be struck by it's same high quality look that it had the day it was installed. Our residential epoxy garage flooring clients are just as important as our larger commercial customers and they always will be. Getting an estimate is easy! 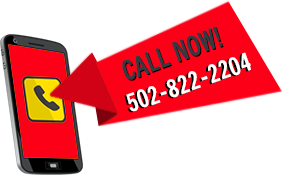 Call us at 502-822-2204 or use our CONTACT US form. One of our representatives will set a day and time that's convenient for us to stop out and take a look at your project. We'll share options and colors with you and afterwards provide you with an accurate quote on materials and labor. We look forward to hearing from you!